The intent is that it will be updated roughly weekly. National Parkinson's Awareness Month takes place every year for all of April! A nationally renowned, non-contact boxing program that aims to improve the lives of those living with Parkinson Disease, is being d by the City’s Parks & Recreation Department with three certified instructors on staff. Keep Port St. Lucie Beautiful (KPSLB) makes it easy for residents to get rid of their unwanted household chemicals and hazardous waste by providing a convenient place and time where the materials can be handed over toe experts, free of charge, for proper disposal. 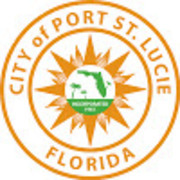 The monthly "Coffee with the Mayor" event was held on Friday, February 15, 2019 at the Port St. Lucie Council Chamber. Hear from participants and staff about all of the fitness opportunities offered by the PSL Parks & Recreation team. Hear from participants and staff about all the great recreation opportunities offered by the PSL Parks & Recreation team. To give some fun insight into some of the jobs we do here at the City of Port St. Lucie, we've created a new short video series called "What We Do." Ever wonder how your water is tested and just how often? What is the Citizen Summit? The monthly "Coffee with the Mayor" event was held on Friday, January 11, 2019 at the Port St. Lucie Council Chamber. The monthly "Coffee with the Mayor" event was held on Friday, December 14, 2018 at the Port St. Lucie Council Chamber. Port St. Lucie has Great Neighborhoods; excellent Educational Opportunities for lifelong learning; a Diverse Local Economy and Employment options; Convenient Transportation; unique Natural Resources including the St. Lucie River; and Leisure Opportunities for an Active Lifestyle. To give some fun insight into some of the jobs we do here at the City of Port St. Lucie, we've created a new short video series called What We Do." Ever wonder where all those green street signs come from? Watch our very first segment here!" The #Crosstown Bridge project reached a major milestone on 12/4/18. The final beam was set into place! We are on track for completion in fall 2019. The monthly "Coffee with the Mayor" event was held on Friday, November 09, 2018 at the Port St. Lucie Council Chamber. On this week’s show, Sarah Prohaska talks with John Walsh a volunteer with the Urban Land Institute about their findings and proposed plans for Southern Grove. Help bring free, live music to Port St. Lucie! https://grant.levittamp.org/ today! Vote for Port St. Lucie to bring a free concert series here in 2019! The #LevittAMP grant award provides $25K in matching funds to produce an outdoor concert series in 2019. Voting ends November 20, sign up at https://grant.levittamp.org/ today! The monthly "Coffee with the Mayor" event was held on Friday, October 12, 2018 at the Port St. Lucie Council Chamber.